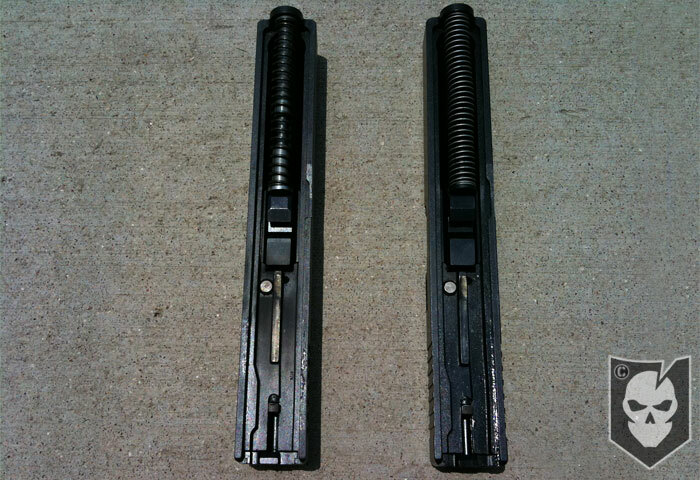 When the Gen4 Glock came out, the two big improvements were the adjustable backstrap for shooters with smaller hands and the dual recoil spring. While my every day carry is a Gen3 RTF Glock 22, this was often the gun that most people hated. A couple excuses were that the serrations on the slide look like fish gills and the grip was too rough. The grip does feel a bit like 80 grit sand paper, but I’ve shot this gun in the rain with no slippage. For me the RTF is perfect because I know that my grip will not slip. When the Gen4 Glock was released, my first reaction was that I had to try it, but wasn’t compelled to purchase it after I did. The grip wasn’t as rough as my current Glock and the back strap seemed more like a gimmick. I did however, really like the dual recoil spring. It was highly noticeable, reduced muzzle flip and allowed me to get back on target quicker. So instead of making a $530 purchase to give up the things that I liked about my RTF to gain the dual recoil of the Gen4 I started looking around for a dual recoil spring. I finally located one at EFK Fire Dragon. 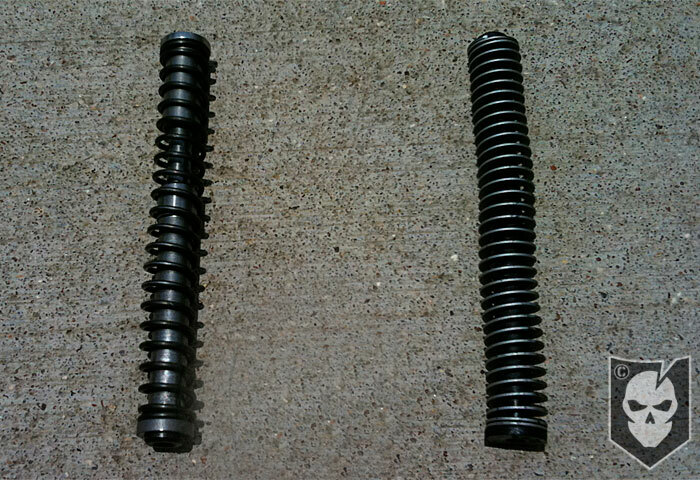 Just the construction of this new dual recoil spring yells “BUILT TO LAST!” The stainless steel construction and beefier outer spring makes the stock spring with the plastic body seem, well, wimpy. 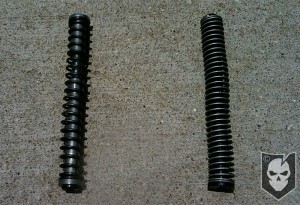 Changing the spring is a breeze. 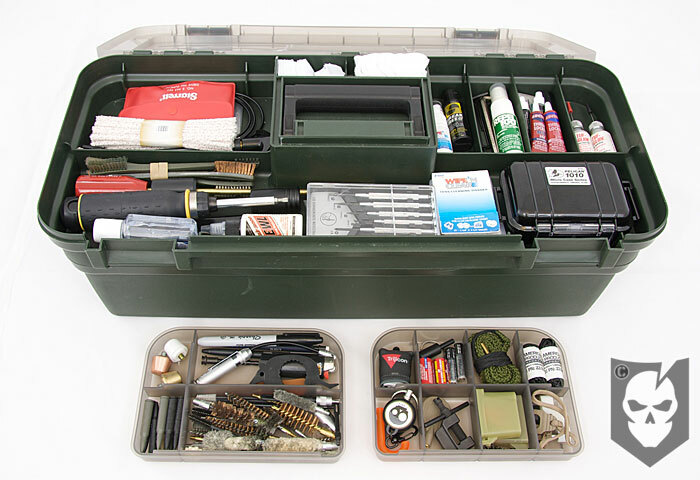 Field strip the Glock, remove the factory spring and drop in the EFK. 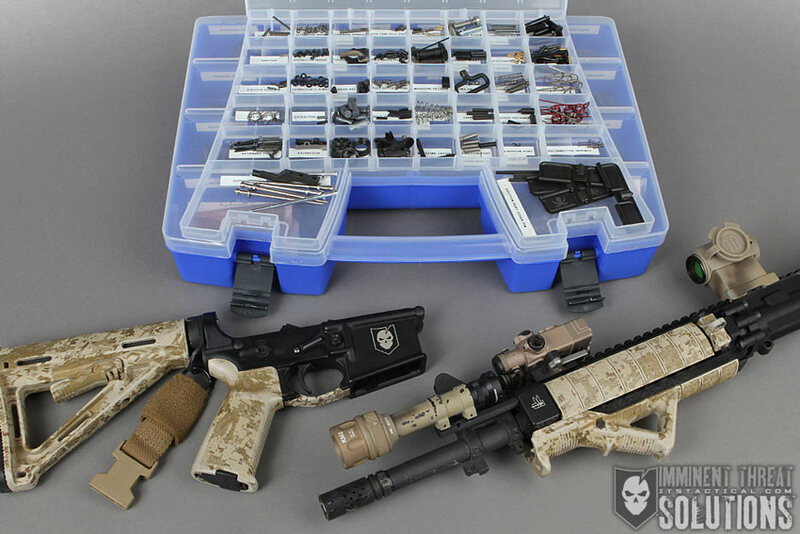 Because of the increased tension you’ll notice additional effort is required to slide lock the gun manually. 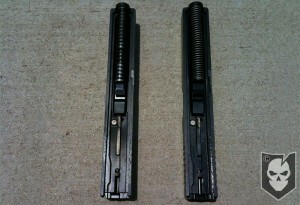 I’ve put about 5000 rounds through my Glock 22 using this spring and the quality is excellent. I would dare to say, better than what I tested with the Gen4. With me, I’m always a skeptic, so I’ve been doing a little social experiment to see it’s just me or the new spring is really awesome as I think it is. Over the last few months I’ve been taking friends with me to the range. 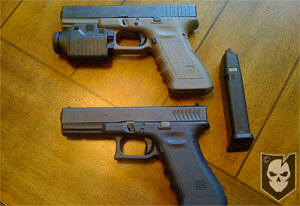 Because I have two separate Glock 22 pistols I give them the Gen3 Glock22 and never say anything about the spring. After firing a few magazines, about 100 rounds or so I switch with them. Letting them use my RTG2 with the dual recoil spring. Obviously the first thing they notice is the texture of the grip, which is when I start asking about other observations. I would always get mixed reviews about the grip some liked it some didn’t. But everyone commented that the gun was easier to handle and that they could run the gun a lot faster than the first. So this points back to one of my original statements. Reduced recoil reduces muzzle flip and allows you to get back on target quicker. So I would ask, “how much recoil difference do you think you experienced between the first gun and the last one?” I never got a response of less than 40% improvement. So unless you just have to have the latest gear, save the money and buy a dual recoil spring from EFK for around $65 and reap the benefit.